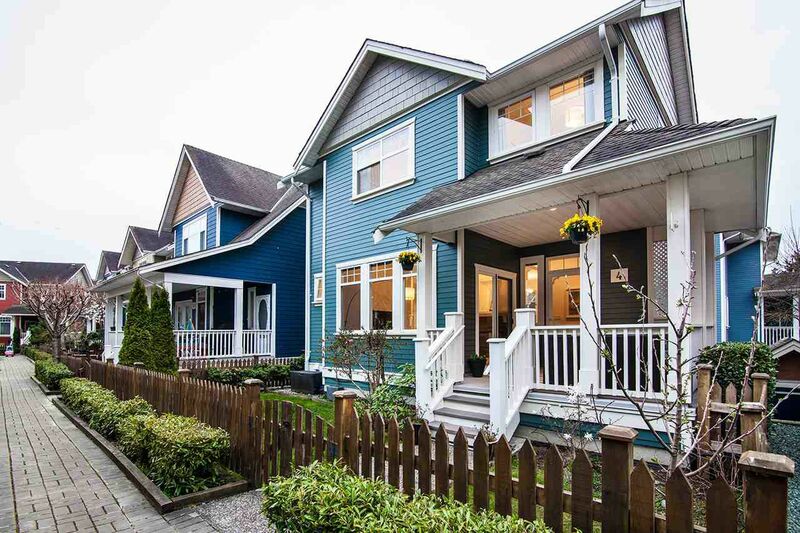 Gorgeous fully-detached 3BR/2.5 bath strata home at McKinney Crossing @ London Landing...a secret oasis of friends, family & community tucked away just a bike's ride from all the conveniences of Steveston Village. This 3-lvl home is flooded w/natural light & has everything you need, whether up-sizing or downsizing...3 spacious bdrms & 2 full baths up, functional living lvl (feat double-sided gas f/p, 9' ceil's, alcove kitch w/gas range), lrg covered patio (functional year-round) spilling out to a nice fenced yard, bonus rec room down & a double attached garage. New laminate flrs & paint. Soak-in those lazy summer days reading on the porch while watching the kids play...or grab a coffee from the bakery & stroll down to the pier. Paradise found. OPEN SAT APR 6, 2-4pm/SUN APR 7, 3-5pm.